In the United States, the majority of people with bite issues have overbites, meaning the top teeth stick out relative to the bottom teeth. Along with underbites, crossbites, and open bites, an overbite is a type of malocclusion. Class 1 is when a normal bite is accompanied by a slight overlap of the upper teeth. This is the most common malocclusion. Class 2 is diagnosed when the overbite is severe, often known as a retrognathic. Class 3 is a severe underbite – when the lower teeth overlap the upper teeth. It's referred to as prognathic. Although some overbites are hereditary, others are caused by a malformed jaw. Jaws can grow unevenly under the pressure of certain habits when a child is young, such as thumb-sucking, prolonged bottle-feeding or tongue-thrusting. Habits developed later in life, such as eraser head-chewing or nail-biting, can form an overbite as well. This can result in an underdeveloped lower jaw or an overdeveloped upper jaw. Elastics are used in less severe cases. Elastics attach, depending on which way we want the teeth and jaws to move, from the bottom braces to the top ones or vice versa. This allows the upper jaw to come out and the lower jaw to go in. In cases where there’s an overbite, we would do the opposite because we want the lower jaw to go out and the upper jaw to come in. If someone has a large overbite, we use a spring that sits inside the mouth and cheeks. The spring allows you to chew and open/close your mouth normally, while working to gently move your jaw 24 hours a day. It’s used in severe cases where you could stick your whole thumb in between your upper and lower jaw. It also speeds up treatment compared to wearing the elastics. There's no age limit on when an overbite can be treated, but it's easier to fix in younger children because their jaws haven't fully developed. The best time is usually before children hit their peak growth spurt (ages 10-11 years old for girls and 11-13 for boys). If you think your child has an overbite, call us at (541) 848-6642. We’re happy to answer any questions you may have! The thought of getting braces as an adult can be a daunting one. But it’s time to get rid of the typical “metal mouth” image that many people may still have in mind. 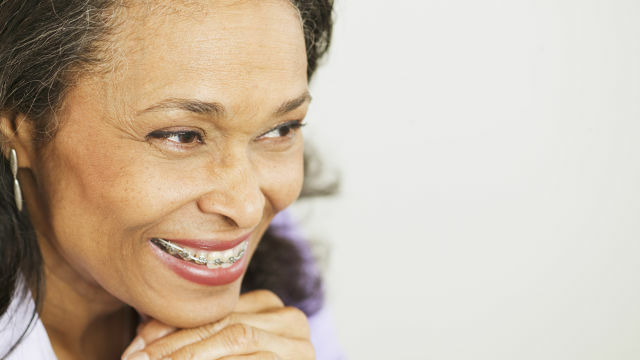 According to Carefree Dental, adults now make up over 50 percent of orthodontic patients. And a Wall Street Journal article reports that the number of adults who received orthodontic treatment is up nearly 40 percent since 1996. By comparison, patients age 17 and younger in 2012 who underwent orthodontic treatment increased by 32 percent in the same period. Advances in technology and design have made the adult braces experience both less painful and less noticeable. The reality is, there has never been a better time to take this step to improve your overall health. In this two-part blog series, we’ll discuss whether or not orthodontic treatment is right for you, followed by information on the cost, time commitment, and treatment options available. Perhaps you needed braces as a child but never had the opportunity. Maybe you didn’t wear your retainer as often as you should have when you were younger and your teeth have shifted as a result. Alternatively, perhaps you didn't need braces as a kid but have developed problems over time. Some people's teeth shift more as they age. The natural growth of your jaw can also cause positioning issues. Whatever your reason so seeking orthodontic treatment as an adult, now is a great time to consider making the commitment to getting braces. And if you’re one of the ones who has had braces before, don’t fret! While the principles of getting braces are still the same, the experience second time around will be nothing like the one you would have had as a teen. There’s no question that one of the main reasons adults consider getting braces is for their appearance. Of the many studies published on the significance of attractiveness in social settings, a 2013 study that examined the influence of teeth on the smile is particularly eye-opening. Researchers took two identical photographs and digitally manipulated the teeth on one of them. Then, they posted the photos to an online dating site and counted the attempts to contact the person. The profile photograph with the better dental aesthetics received nearly five times as many contact attempts as the other. You could say that while “braces-wearer” may not be the best highlight to put on an online dating profile, your orthodontic treatment and the resulting healthy smile could really make a difference in many aspects of your life moving forward. Besides, making your health a priority will always be an attractive quality. Whatever your reasons for waiting until now, you can't afford to let your dental and orthodontic problems go untreated. In the end, decades of straight teeth and drastically improved oral and physical health are well worth a couple years of awkwardness, expense, and occasional discomfort. Look out for our next blog in October for information on treatment options and cost! Summer is in full swing! Which means there is plenty of active fun in the sun to be had. While we definitely support joining a local football team, taking the mountain bike out for a spin, or shooting some hoops, these sports all pose risks to your dental health that you’d be better off avoiding. Fortunately, there’s an easy fix: wearing a mouthguard allows you to participate in virtually any sport you wish while ensuring that your teeth are as safe from harm--and expensive dental work--as possible. Which sports require a mouthguard? Currently, the U.S. National Collegiate Athletic Association requires the use of mouthguards only for ice hockey, lacrosse, field hockey and football. However, the American Dental Association recommends the use of a mouth guard for 29 sports/exercise activities. These include the four activities already mentioned, plus acrobatics, basketball, boxing, discus throwing, gymnastics, handball, martial arts, racquetball, rugby, shot putting, skateboarding, skiing, skydiving, soccer, squash, surfing, volleyball, water polo, weightlifting and wrestling. Essentially, whenever there's a chance of contact with other players or hard surfaces, wearing a mouth guard makes sense. Mouthguards can buffer damage to the teeth, cheeks, lips, tongue, brackets, and/or other fixed appliances from blows and physical contact, thereby limiting the risk of soft tissue damage. A good-fitting mouth guard may be especially important if you wear braces, have fixed anterior bridgework, or just want to protect your teeth and smile from potential trauma. Failing to wear a mouthguard can result in chipped or broken teeth, root and bone damage, and tooth loss, as well as serious injuries such as jaw fracture, cerebral hemorrhage, concussion and neck injuries in situations when the lower jaw jams into the upper jaw. One of the main reasons why young athletes don’t wear mouthguards is because it is not mandatory. In most cases, a child will not be the one who actually wants to wear a mouthguard, so it is often the adult’s responsibility to enforce its use. Coaches and parents may fail to realize the safety value of wearing mouthguards and are unaware of the level of contact and potential for serious dental injuries involved in children’s sports. Gender bias may also play a role, as some people mistakenly think that female athletes are less aggressive, less at-risk of injury and, therefore, less likely to need a mouthguard. Another determining factor is that many mouthguards may not fit correctly, are uncomfortable, or compromise image (the notion that it's not "cool" to wear mouth guards). The "hassle" factor in remembering to wear them, properly caring for them, and dealing with the inconvenience of impaired breathing or speech – also contributes to non-use. However, all of these issues should not be a concern when you have the right mouthguard fit to your specific needs. Finally, although mouthguards come in various price ranges, cost may be another consideration--especially for custom-fitted mouth guards. Talk to your dentist about different options available to you. In the end, a good mouthguard will only cost a fraction of what it would be to repair a major dental issue from a sports-related accident. These can be purchased in sporting goods and drug stores and come pre-formed and ready to wear. Although they're the least expensive, they are also the worst fitting and least comfortable or protective. Made of rubber or polyvinyl, these pre-formed guards can be bulky, increase the tendency to gag, and make breathing and talking difficult because they require the jaw to be closed to hold them in place. These can be either a shell liner or a boil-and-bite kind. The first type is lined with acrylic gel or rubber that molds to the teeth and sets to keep its shape. The second type, made of thermoplastic, is placed in boiling water then formed and molded to the contours of the teeth using the fingers, lips, tongue and biting pressure. Boil-and-bite mouthguards can be reheated and refitted if the fit isn't comfortable initially. These are also available online and in sporting goods stores. While they do provide a better fit than stock mouth guards, they can be bulky and do not offer the same fit and protection as a custom-fitted mouth guard. These are more expensive than the other types of mouthguards, but they provide the greatest degree of fit, comfort, and protection because they are made from a cast to precisely fit your teeth. Your dentist makes an impression of your teeth and a dental laboratory technician – either in the dentist's office or at an off-site dental laboratory – uses the impression as a mold to create the custom-fitted mouth guard. Still not sure if your child needs a mouthguard, or which type they should get? Want more advice on how to protect your teeth during athletic activities? Give us a call at (541) 848-6642 so that we can help you get the best protection for your particular needs. There should be minimal pain when braces are applied to the teeth. It may take you longer to eat meals the day you have them applied to your teeth, as you'll need to adjust to chewing. It's best to stick with softer foods for the first few days, such as yogurt, soup, and macaroni and cheese. If the pain is more severe and does not go away after rinsing, you can also try taking a pain reliever. Over-the-counter medications, such as acetaminophen and ibuprofen are good options for relieving mouth soreness and headaches associated with getting used to braces. It is also not uncommon for your lips, cheeks, and tongue to become irritated for one to two weeks as they toughen and become used to the braces. We will provide you with plenty of wax that you can put over the braces to lessen the tenderness. If you need some wax, please let us know. It's normal to feel anxious about braces. Most people find the discomfort associated with braces to be inconvenient, but manageable. Everyone on Team Struble is happy to offer any tools and suggestions you need for easing any pain or discomfort in the days following having braces installed or adjusted. Maybe your dentist told you that you might need braces. Or maybe all your friends are getting them and you’re wondering if you’ll need them too. Orthodontic problems such as crowding of the teeth, too much space between the teeth, jaw growth problems, protruding teeth, and bad bites can be inherited or caused by injury to the mouth, early or late loss of baby teeth, or thumb-sucking habits. Below are 7 of the most commonly treated orthodontic cases. Teeth may be aligned poorly because the dental arch is small and/or the teeth are large. The bone and gums over the roots of extremely crowded teeth may become thin and recede as a result of severe crowding. Impacted teeth (teeth that should have come in, but have not), poor biting relationships, and undesirable appearance may all result from crowding. Thumb suckers, beware! Thumb and finger sucking habits often cause a protrusion of the upper incisor teeth. Upper front teeth that protrude beyond normal contact with the lower front teeth are prone to injury, often indicate a poor bite of the back teeth (molars), and may indicate an unevenness in jaw growth. Commonly, protruded upper teeth are associated with a lower jaw that is short in proportion to the upper jaw. This occurs when the lower incisor (front) teeth bite too close or into the gum tissue behind the upper teeth. This can cause significant bone damage and discomfort. A deep bite can also contribute to excessive wear of the incisor teeth. This results when the upper and lower incisor teeth do not touch when biting down. This open space between the upper and lower front teeth causes all the chewing pressure to be placed on the back teeth. This excessive biting pressure and rubbing together of the back teeth makes chewing less efficient and may contribute to significant tooth wear. If teeth are missing or small, or the dental arch is very wide, space between the teeth can occur. The most common complaint from those with excessive space is poor appearance (unless you aspire to be a gap-toothed model!). The most common type of a crossbite is when the upper teeth bite inside the lower teeth (toward the tongue). Crossbites of both back teeth and front teeth are commonly corrected early due to biting and chewing difficulties. About 3-5% of the population (that’s more than 10 million people in the United States alone!) has a lower jaw that is to some degree longer than the upper jaw. This can cause the lower front teeth to protrude ahead of the upper front teeth creating a crossbite. Careful monitoring of jaw growth and tooth development is indicated for these patients. If your child is between the ages of 7 and 8 and shows signs of needing orthodontic care, or if you have been directed by your family dentist to visit the orthodontist, please contact our practice and schedule an appointment. Our team will provide your child with an initial exam, and discuss with you the best steps to take toward caring for your child's smile. While it is recommended that patients first visit the orthodontist around age seven, treatment is definitely not limited to children and teens. It’s never too late to achieve that healthy, beautiful smile you always wanted. In fact, the American Association of Orthodontics (AAO) estimates that one in five patients treated by association members is over the age of 21, so you’re hardly alone. Faith Hill is even rockin’ the clear braces at age 45. Many adults seek out orthodontic help because of a bad bite, crowded or spaced apart teeth, or abnormal jaw pain that is caused by crooked teeth. And with a healthy mouth comes added perks. For one thing, not receiving orthodontic treatment when needed can result in bigger problems (and bigger expenses) later in life. Perhaps even more important than the size of your wallet is the confidence gained by a healthy smile. A survey by the AAO found that 77% of women think crooked teeth are worse than a receding hairline in a potential love interest. But whether you’re single or off the market, a new smile can affect more than just your love life. On a professional level, 78% of Americans perceive adults with crooked teeth to be unsuccessful. And while we like to think our friends appreciate us more for what’s on the inside, 36% of Americans believe they would have a better social life if they had better teeth. But what about the excruciating thought of walking into your next board meeting with a giant set of metal braces? We know this can be discouraging, but trust us; it’s not nearly as bad as you might think. Our practice recognizes that adults and children have different needs, and require a different level of attention and care. Today’s orthodontic treatment options offer a variety of braces that are not only customized and comfortable, but good-looking too. Conventional braces come in clear and ceramic, so they’re not as noticeable as the bright pink options our teen patients often seek out (although if you want to embrace the kid in you, go for it!). Another alternative is lingual braces that are put on the back of the teeth. Or you can choose to go with invisible braces such as Invisalign. Options vary according to versatility, the specific case of the patient, and cost. No matter what you decide, we’ll give you a healthy smile worthy of a red carpet appearance. As an orthodontist and a mom, I often communicate with parents and friends about how confusing the world of orthodontics has become. Many parents feel they are receiving mixed messages about when their child should receive treatment, what type of treatment is best, and which resources they can rely upon to find accurate information. Much of this confusion comes from the fact that orthodontics has changed so drastically since many of us parents received our own orthodontic treatment. These exciting changes provide many benefits to the patient, but they have left many families unsure about how to seek orthodontic help for their child. As an orthodontist, my most important job is to educate patients, parents and families so that they can receive the best treatment at the right time. Below I’ve shared my answers to some of the most common questions I hear, in an attempt to help you navigate this confusing area of healthcare. The reason this question comes up so frequently is that there simply isn’t one answer or orthodontic solution for every child. The American Association of Orthodontists recommends an orthodontic screening at age seven. This surprises many parents, but early evaluation provides both timely detection of problems (for instance, identification of traumatic dental habits that can damage teeth, gums and bone over time) and greater opportunity for more effective treatment. Additionally, orthodontic and orthopedic (jaw growth) issues detected earlier often require less invasive and less costly treatment both now and in the future. Keep in mind, an early visit to the orthodontist does not mean that your seven year-old must receive orthodontic treatment. It is rather an opportunity to both begin tracking oral growth and development and educate yourself about what might be on the horizon for your child. Fortunately, most orthodontic offices offer complimentary initial examinations so you can understand what to expect when it comes to your child’s orthodontic needs at no cost to you. Removing teeth is sometimes necessary in cases of severe crowding. However, new technologies and advancements in orthodontic procedures have allowed us to significantly reduce the frequency of tooth extractions. Now more than ever, orthodontists are paying attention to facial profile esthetics. The decision to extract teeth should be made with careful consideration for facial attractiveness because facial proportions will change as your child matures. 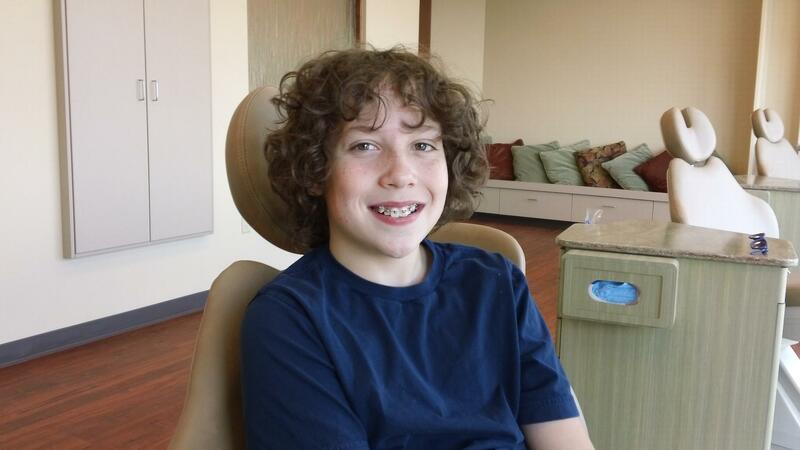 “My child is really nervous and embarrassed about having braces. Are there any other options available to us? Fortunately, we now have alternative (and sometimes more attractive) ways of moving teeth, rather than just conventional braces. 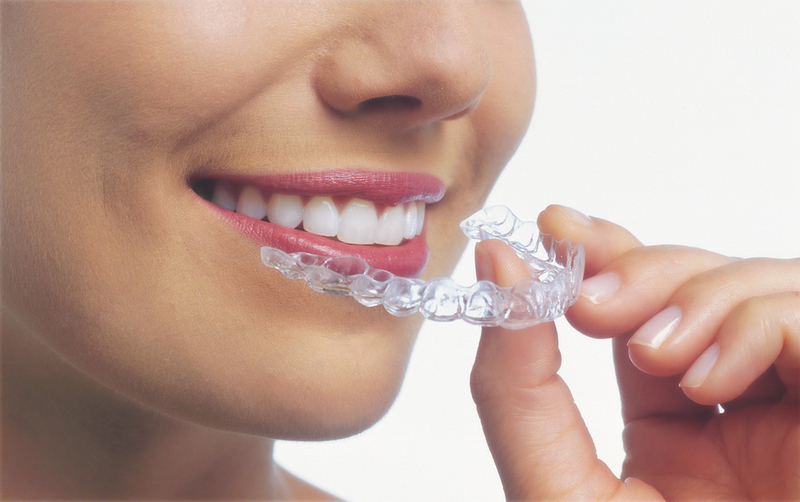 We now have clear removable aligners, lingual braces that can be placed on the back of the front teeth, and clear braces that are much less visible than traditional metal brackets. Some of these methods may not be as effective or efficient for your child so you should discuss these options with your orthodontist when determining the right treatment for your child. Orthodontic advancements in wire technology, bracket design, and adhesive materials have significantly improved the comfort and convenience of braces. Your child will still take some time getting used to their orthodontic appliances, but the wires are much more flexible and comfortable so the forces placed on teeth are significantly lighter. Many braces (or brackets) are now designed for smoothness and comfort, so my patients suffer far fewer cheek and lip sores than many of us parents had to endure several decades ago. Also, our dental materials allow us to bond nearly all appliances to the teeth rather than relying on uncomfortable spacers and cumbersome bands that can irritate gums and cause unnecessary tooth soreness. All of these advancements help to make the process of receiving orthodontic care much more tolerable for our children than it was for us parents! 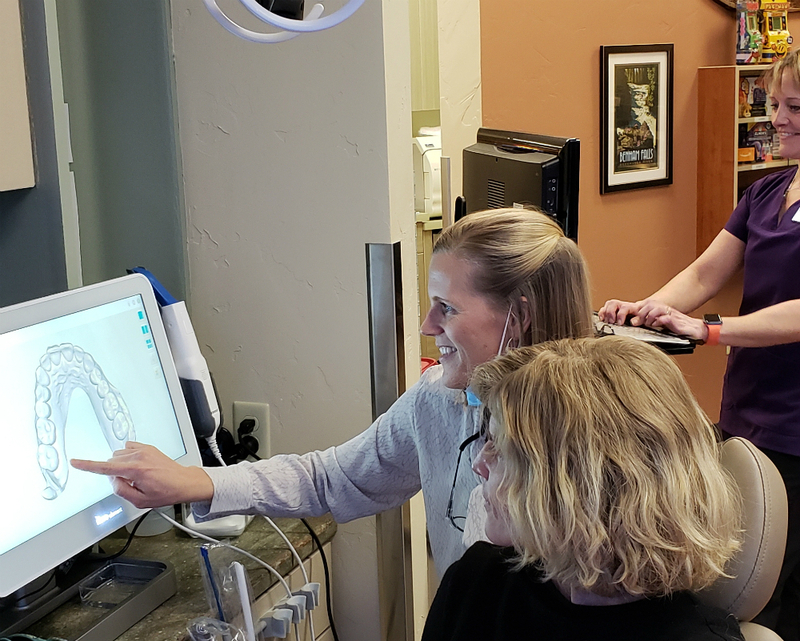 Struble Orthodontics is a state-of-the-art orthodontic clinic serving Central Oregon, including Bend, Redmond, Sisters, and the surrounding communities. Our practice provides excellent care for patients of all ages; from kids ready for a set of braces to grownups who want to improve the health and beauty of their smiles. On behalf of Dr. Blair Struble and our entire team, we hope we can become partners in pursuit of wonderful smiles for you and your family. Give us a call today for a free consultaion (541)-848-6642 or request an appointment here. Today, nearly four million children in the United States and Canada are receiving treatment from members of the American Association of Orthodontists (AAO). And while parents know that orthodontic treatment results in a healthy, beautiful smile, many don’t realize the important long-term health benefits. As part of its commitment to education, the AAO provides parents with this list of answers to commonly asked questions about orthodontic care. 1. Why is orthodontic treatment important? A: Straight teeth and properly aligned jaws contribute to good dental health as well as overall physical health. Orthodontic treatment can boost a person’s self-image as teeth, lips and jaws move into position and improve appearance. 2. How do parents know if their child needs orthodontic treatment? A: The best way is to visit an orthodontist. The AAO recommends that all children get a check-up with an orthodontist no later than age seven. 3. What if my child still has baby teeth at age seven? Should they still see an orthodontist? A: Yes. 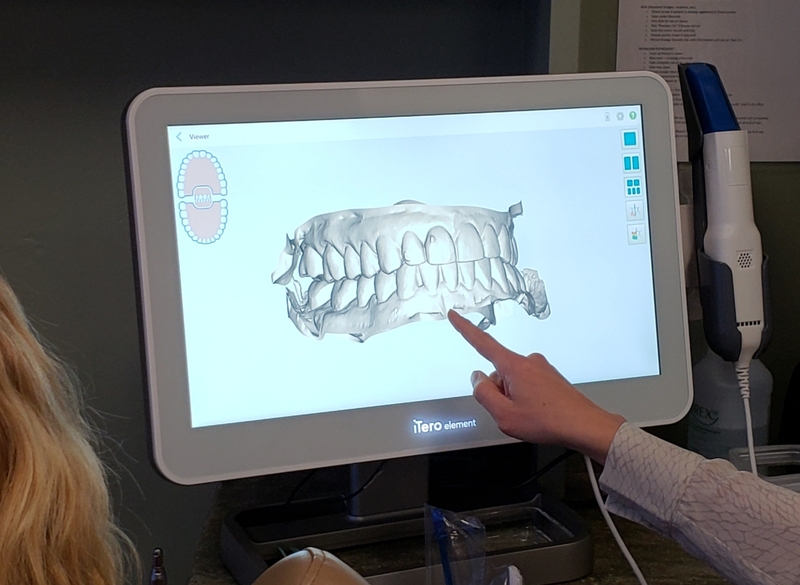 By age 7, enough permanent teeth have arrived for orthodontists to evaluate how the teeth and jaws meet, and to identify current or developing problems. If a problem is detected, the orthodontist and parents can discuss when treatment may be necessary. 4. How does a child’s growth affect orthodontic treatment? A: Treatment and growth often compliment each other. In some cases, the orthodontist takes advantage of a child’s growth to guide jaws and teeth into their ideal positions. 5. How often do you visit your orthodontist while in orthodontic treatment? A: Typically a child will see the orthodontist every 6-12 weeks throughout the course of treatment. 6. If you currently don’t have an orthodontist, what is the best way to find someone to treat orthodontic problems? A: To find an orthodontist near you, ask for a referral from your family dentist, your pediatrician or your child’s school nurse. Or you can visit www.braces.org and click on the Find an Orthodontist service. It is important to choose an orthodontist who is a member of the AAO. Orthodontists receive an additional two to three years of specialized education beyond dental school to learn the proper way to align and straighten teeth. Only those with this formal education may call themselves “orthodontists,” and only orthodontists may be members of the AAO. 7. What is the average cost of orthodontic treatment? A: Fees will vary, depending on the treatment needed. Most orthodontists offer convenient payment plans, making treatment more affordable than ever. Most orthodontists will work with you to find a plan that fits your family budget. In addition, many patients have dental insurance that includes orthodontic benefits. Check with your employer’s human resources department to learn about your coverage.